Do you need services for asbestos removal in Alphington? Has your home or office tested positive for asbestos and you need a solution? Please contact Hazaway Asbestos Removal online or by phone at 0432.622.292 today! We can answer any questions you have or schedule a free quote for your Alphington asbestos removal needs. Learning about asbestos presence in your home or office building is unnerving but Hazaway Asbestos Removal is only a phone call away! Hazaway Asbestos Removal is a fully-insured Class B certified Alphington asbestos removal company. 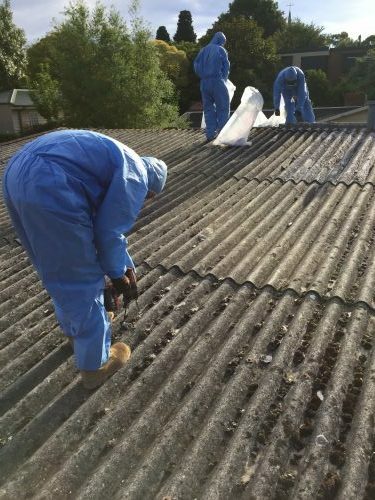 We are permitted by the Environmental Protection Authority (EPA) and Worksafe Victoria to remove all non-friable asbestos from your Alphington property. Asbestos is a highly toxic material and you should never attempt to remove it yourself. Contact a certified professional asbestos removal company to take care of your needs. Your health is priceless. Hazaway Asbestos Removal does not simply provide Alphington asbestos removal. We offer Alphington comprehensive asbestos solutions. Professional Asbestos Removal – First Hazaway Asbestos Removal prepares the Alphington property for safe asbestos removal. We then safely and effectively remove asbestos from the property. Asbestos Disposal – Asbestos is hazardous and must be discarded very specifically. Hazaway Asbestos Removal has permit to dispose asbestos in Alphington. Asbestos Encapsulation – Sometimes it is safer and less costly to leave asbestos in place. In this situation, we create a seal to safely block the asbestos material. Quality Asbestos Testing – We arrange suspected material to be tested for the presence of asbestos. Asbestos Air Monitoring – We check the air for asbestos fibres. Asbestos Clearance Certificates – Hazaway Asbestos Removal issues clearance certificates to confirm complete asbestos removal in your Alphington property. Why Choose Hazaway for your Alphington Asbestos Removal? We are a professional, expert asbestos removal company serving Alphington. Asbestos is unfortunately a common occurrence due to its previous popularity as a building material. In fact, many properties built before the early 1990’s contain asbestos in some form. We understand the concern you feel when your Alphington property tests positive for asbestos. At Hazaway Asbestos Removal, we also know the next concern is likely asbestos removal cost. We provide reasonably priced Alphington asbestos removal without lowering our high standards. We want to relax your worries, and handle your Alphington asbestos removal project today! Would you like to know more about our asbestos removal services in Alphington? Are you interested in a free quote? Call Hazaway Asbestos Removal at 0432.622.292. You can also contact us online to speak to an Alphington asbestos removal specialist. We are here to answer our clients’ questions and to calm any nerves you have about asbestos removal in your Alphington property!